It is a small tidbit that is often overlooked regarding clubs such as Swansea or Cardiff. We have become so used to them over the last number of years – Swansea City in particular – being part of the fabric of the Premier league that we sometimes forget that they are indeed Welsh. Of course, that may mean little to football fans, who just see an opponent rather than geography, yet when big clubs from the Premier League leave to make the trip to the Liberty Stadium, they do something unusual in a national league – they have to leave the country. The geographical gap between the Welsh and English is so small that it’s rendered indiscernible. In fact, the distance between Liverpool and Swansea is less than Liverpool to London, yet nevertheless, they do the highly unusual feat of leaving their country to play a match in their own league. The same can also be technically said of Derry City, who leave Northern Ireland to play in the League of Ireland. For a number of clubs in the Spanish Segunda B División, though, they take this concept to a completely new level. Not only do they leave the cozy confines of the Spanish mainland, they leave the entire continent of Europe behind and head to two cities on the northern tip of Africa. Their destinations are the autonomous cities of Melilla and Ceuta and their opponents, UD Melilla and UD Ceuta. I may have told a white lie in saying that they leave Spain; the fact is these two cities, despite being under the authority of Spain, are firmly attached to Africa. Welcome to football on Europe’s last frontier. The city of Melilla is located on the northern coastline of Morocco and is roughly 666km from the nation’s capital of Madrid. The city itself was originally founded by the Phoenicians, better known today as the Carthaginians. At first, the city was known by the name Rusaddir before eventually adopting the one it carries today. The Carthaginians are better known today for their bitter rivalry and struggle with the most famous empire the world has ever seen: Rome. It was as an event of this rivalry that the city eventually fell to the Romans after the Punic Wars, when Rome finally managed to vanquish its most bitter and worthy of rivals. Rome wouldn’t be the last to conquer the port city; over the course of history, it also fell under the control of the Vandals, Byzantines, Visigoths and the Berbers. 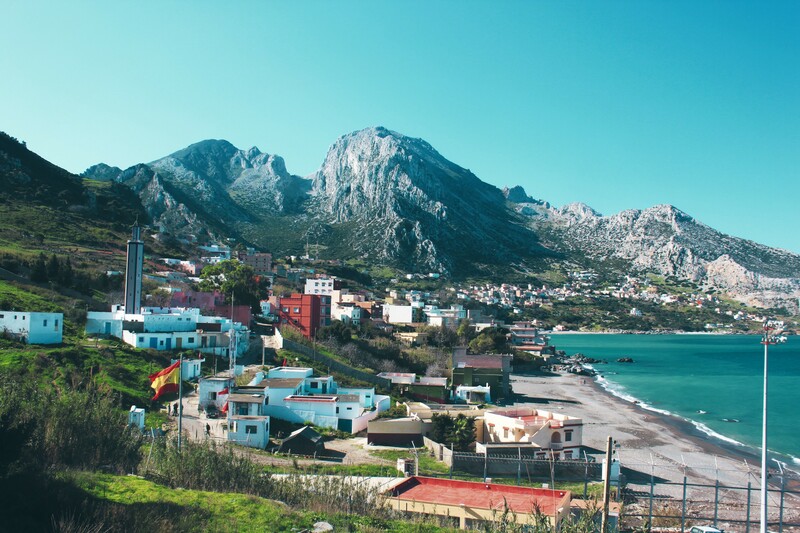 Eventually, in 1497, the city fell to the Spanish when Pedro de Estopiñán y Virués captured it – and to this day, the 4.7-mile enclave of Africa remains a part of Spain. It hasn’t been all peace and prosperity since then, however. In 1774 the city managed to withstand a siege from 40,000 troops of Sultan Moulay Abdullah with only some 3,000 or so defenders. The last serious threat to its status came during the 1921 Rif War. The city also holds the distinction of being one of the first to rise up in support of General Franco. Today the city is still officially claimed by the Moroccan government, whose land it’s attached to. The Spanish government, however, suggest that their authority over the city predates the existence of the modern Moroccan state and as such makes their claim invalid. In terms of football, the city was and never will be a world power. 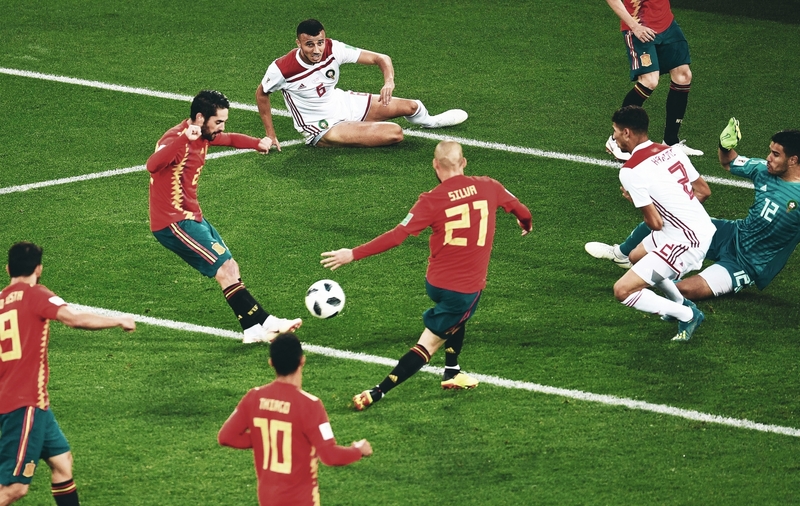 That isn’t to say that the game doesn’t have a legacy in Spain’s pocket of North Africa. In fact, it’s quite the opposite, with football being played in the tiny enclave since the early parts of the 20th century. The game was originally introduced to the city by soldiers from mainland Spain who were garrisoned in this tiny part of the world. At first it was these soldiers that played matches between their own regiments, long before any clubs came to exist. By 1912, however, the first organised football clubs slowly began to emerge. Clubs such as Melilla FC and Sporting Club Melilla would soon organise and compete in a small, local league. This league would only last till 1921 when the aforementioned Rif War intervened in its running. It wasn’t until the early 1930s that we began to see the origins of the club that represents the city still to this day, UD Melilla. It was at this time that three clubs would begin to make their mark on football in the enclave: Melilla FC, Español CD and SD Melillense. Once again, though, war would put pay to the immediate ambitions of these clubs as the long and bitter Spanish Civil War would soon engulf the entire nation – even its North African cities. As a result, organised football was suspended in the city during the conflict. The war had a colossal impact on the landscape of football and by the time things resumed again, all was considerably different. Instead of the original three clubs, only two now remained – Melilla FC and a new team by the name Español y Juventud. With the creation of a new national third tier, it was decided to amalgamate these clubs so that a team from the city could compete in this new venture. As such, UD Melilla was founded and took their place in the league in 1943. Sadly for the city, the history of this club remains largely underwhelming, despite its unique location. The club reached as high as the Segunda División, but in doing so nearly bankrupted themselves and were soon on their way back down. The 1970s saw the emergence of a new club in the shape of CF Gimnástico Melilla, and it wasn’t long before an attempt at a merger took place. However, it was botched, leading to some confusion about the future of the two clubs’ very existence. In the end, things settled down and they came together, continuing the rich history in this tiny part of Spain. As for national prominence, UD Melilla only achieved this once over their long history, in the early 1950s. Sadly it was the result of a tragedy rather than anything they did on the pitch. While on their way to an away match, a truck being driven by one Esteban Parra hit their bus head-on, tragically killing two Melilla players – Francisco Valverde and Juan López – along with the club’s masseuse, Manuel Marta. Numerous other players also suffered serious injuries. Today, the club continues to flit around the lower leagues, currently playing in the Segunda B División – a special feat for a club located in Africa. Around 380km west of Melilla lies the second of the Spanish controlled cities – Ceuta. The history of the city largely follows that of Melilla in that it was first colonised by the Carthaginians, then the Greeks and Romans. In 1415 it would come under the control of the Portuguese before eventually passing into the hands of the Spanish in 1580. The territory was fully assigned to Spain in 1688 under the treaty of Lisbon. It is also still claimed by Morocco. Like Melilla, football here has a long if not a prestigious tradition, with the city’s current club, UD Ceuta, also playing in the Segunda B. The club’s claim to fame was a Copa del Rey tie against Barcelona in 2010. While victory was a formality for the Catalan giants, Ceuta by no means disgraced themselves, losing only 2-0 in the first league at home. This was against a Barça side that contained big names in the form of Javier Mascherano, Seydou Keita, Pedro and Bojan. The return leg at the Camp Nou saw Barcelona assert their quality as they prevailed 5-1 – but the small Spanish city had been placed on the football map. Since the glamour ties against Barcelona, however, the club has gone out of business and was forced to start again. On the face of it, the history of these two clubs may not seem overly significant or even that interesting, but that’s not the beauty of their story. The story comes from the small towns that these two tiny clubs represent. Each city throughout Europe brings its own unique take to the game of football, from Madrid to Barcelona, Rome to Liverpool and Yeovil to Waterford. None, however, bring quite as unique a look on the game than Melilla and Ceuta, two clubs based a continent away.